The oak framed extensions are now completed in the beautiful village of Pillsgate which is surrounded by the estate grounds of Burghley House. 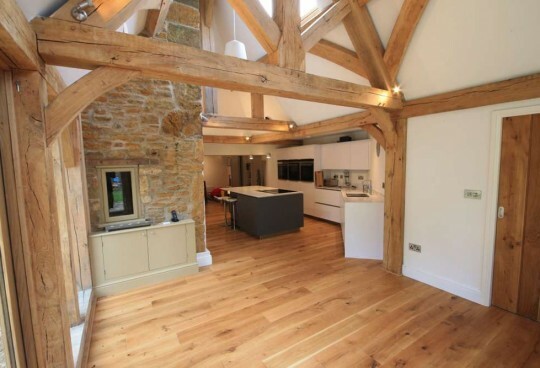 The extensions comprised of one large oak framed room and five stone built rooms. These were linked to the main existing house to create a centre hub for the family to work around. The main room held three functions, the kitchen, a formal seating area and a day room that all benefited from the light open space created with the oak waisted king post truss vaulted ceiling and queen posted glazed truss. 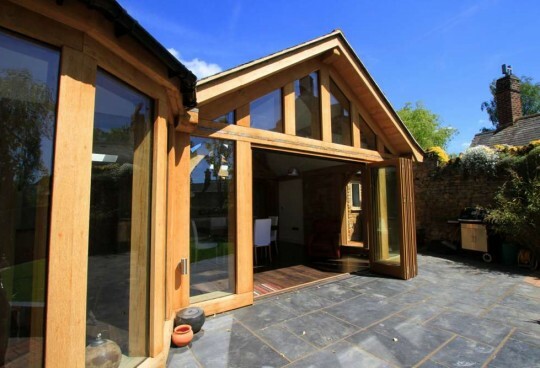 The oak frame was traditionally designed incorporating purlin sweeps and knee braces to give a very traditional feel. 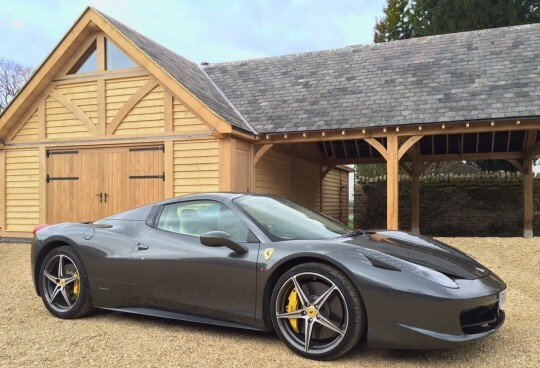 All the oak components were air dried for a minimum of five years to create the most stable frame to house the glazing and stone panels. Our decorator chose Farrow and Ball colours to complement the overall traditional feel and with the bespoke hand made framed kitchen and the one off Italian flagstone flooring, the end result shows off the high quality materials and craftsmanship.